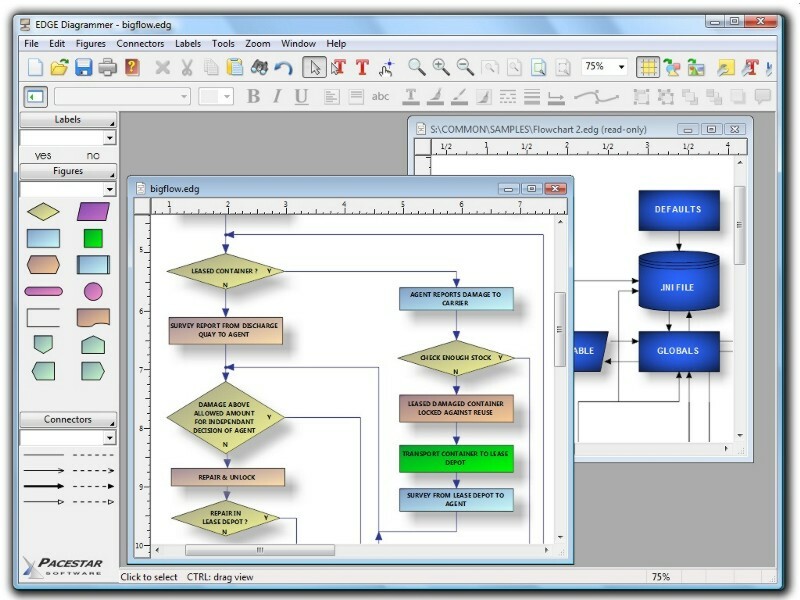 Professional diagramming, flowcharting, and design tool. Uniquely tailored for easy use with little or no training required. Create any type of block or flow diagrams. Use built in shapes and arrowheads or create your own. Contains all the features of expensive packages such as full zoom, OLE connectivity, poster printing, graphics import and export. Creates diagrams by stamping out shapes on your layout, adding any of a variety of text styles, and connecting the shapes with smart connecting lines that maintain flows and relationships. Also includes high end features such as full pan and zoom, poster printing, linking diagrams into documents, curves, importing clip art, and exporting web graphics. Powerful grid and alignment aids keep your diagram attractive. Everything from shapes to styles to diagram templates to the user interface is highly customizable so you can design your own diagram types. This page was last modified on 1 April 2019, at 19:06.